WASHINGTON (CNS) — As America's longest war in history marks its 11th anniversary Oct. 7, it remains a largely undiscussed issue in the presidential campaign. 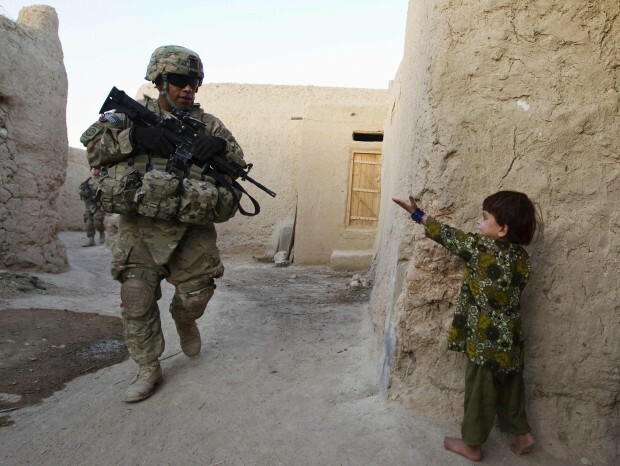 Both major candidates — President Barack Obama, the Democrat, and his Republican challenger, Mitt Romney — have kept Afghanistan on the back burner as they crisscross the country even though 68,000 U.S. troops remain on the ground as part of Operation Enduring Freedom. Defense Secretary Leon Panetta announced Sept. 21 that the last of the 33,000 troops that were part of the 2010 surge have left Afghanistan. Obama sent the surge in an effort to improve security and reduce instability in the face of a growing Taliban-backed insurgency. While the Obama administration has said the surge helped, the insurgency remains a potent force and threatens the security of troops and Afghan civilians. The growing number of so-called “green on blue” attacks on U.S. trainers by Afghan allies has raised new concerns that the long-sought stability is far from realization. Overall, war casualties stood at 3,190 dead, including 2,125 Americans, as of Sept. 26, according to statistics compiled by the website iCasualties.org. Thousands more have been wounded in a war marked largely by low-intensity conflicts in a country slightly smaller than Texas. Despite the contingent of U.S. troops remaining in Afghanistan, observers told Catholic News Service that Obama and Romney rarely mention the war as talk focuses on rebuilding the American economy. Afghanistan gets scant attention even on the candidates' websites. Obama's reference to Afghanistan is two lines long, promising to withdraw U.S. troops by the end of 2014. The site, however, credits Obama for the decision to raid Osama bin Laden's compound in Pakistan and “eliminating” the mastermind behind the 9/11 attacks. Romney's website offers a longer narrative on the war. But his criticism of the president's surge and the 2014 deadline to withdraw forces is longer than his plan for addressing Afghan security. “Withdrawal of U.S. forces from Afghanistan under a Romney administration will be based on conditions on the ground as assessed by our military commanders,” the site concludes. “The truth is that both candidates have avoided talking about Afghanistan because neither has really good answers,” said Michael. J. Boyle, assistant professor of political science at La Salle University in Philadelphia. Of Romney's stance, Boyle said there is little to dissect. Paul Pillar, nonresident senior fellow at Georgetown University's Center for Security Studies, said he found that the stances of Obama and Romney on Afghanistan diverge only by matter of degree. The lack of specificity on Afghanistan by both candidates has implications for broader U.S. foreign policy, Pillar added. Other foreign policy issues are addressed general by both candidates' websites. Romney's site generally addresses concerns emanating from the Middle East, such as the civil war in Syria, Iran's nuclear research, relations with Israel and the political evolution in countries impacted by the Arab Spring. Obama stresses his desire to reduce nuclear weapons stockpiles and strengthened relations around the world and particularly sites Israel, NATO allies, Asia and Latin America. Beyond the military action, the U.S. has an obligation to provide humanitarian assistance and rebuild both Afghanistan and Iraq, explained Stephen Colecchi, director of the U.S. bishops' Office of International Justice and Peace. Throughout the eight-year war in Iraq, the bishops called for a “responsible transition” under which the U.S. would gradually return control of the country to Iraqis. The last U.S. troops pulled out Dec. 18, leaving behind massive destruction and a country ravaged by violence. “Those obligations haven't ended with the end of the conflict,” Colecchi said. “There is still an enormous moral obligation to the Iraqi people. So our foreign assistance needs to continue to the Iraqi people both to enable them to rebuild society and to strengthen the rule of law and to strengthen the judiciary and to protect all Iraqis, but especially vulnerable minorities and particularly Christians. That's the unfinished agenda of the legacy of that war that we still have to deal with,” he said. Much the same holds true in Afghanistan even as hostilities continue, he added. The bishops have encouraged the U.S. government to focus more on diplomacy, development and humanitarian assistance and less on exclusively military actions. Other concerns that must be addressed, the bishops have pointed out, include protecting human rights and religious freedom, minimizing the loss of human life; and assisting refugees and internally displaced people while fostering economic and agricultural development. None of those issues is specifically addressed on the candidates' websites.